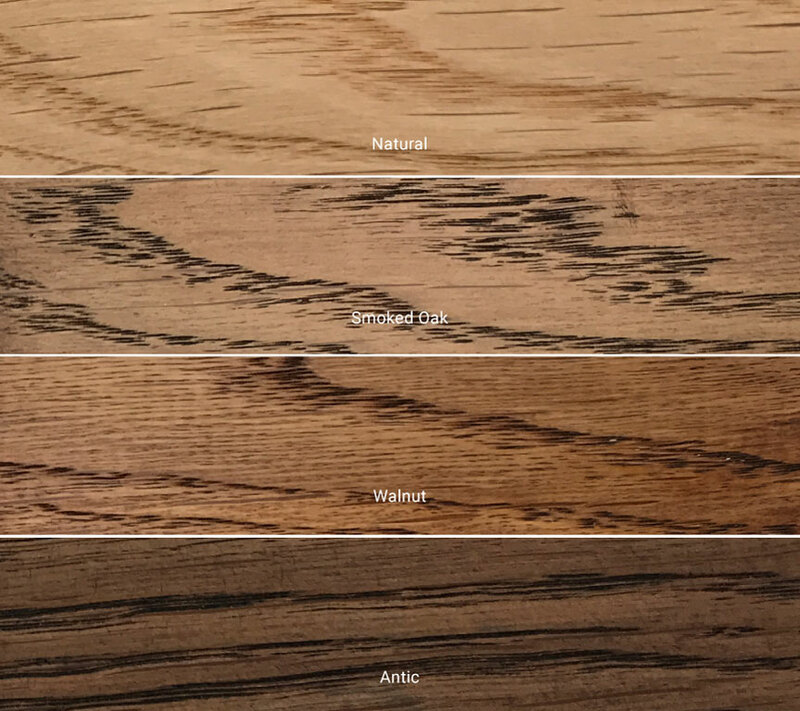 We’ve spent years testing different wood finishes to find the one that enables a table to stay like new, whilst maintaining the beautiful natural look and feel of the oak. Our protective finish comes in a range of 4 natural colour tones, in an extremely durable and user-friendly finishing oil that can be quickly refreshed once every 12 months to keep a table looking like new. You can tailor your table’s steel legs with the exact finish to fit the style of your room. Choose either a hand-brushed high-grade stainless steel base finish, or from our huge colour palette of durable matt or high-gloss powered coated finishes. Our high-performance Formica Beech-Ply table tops are also available in the same large colour palette of matt or high-gloss finishes, textured or smooth to give you the exact look and feel to fit your room with immense practicality. If you’re looking for a particular colour to perfectly match to your room, we offer a bespoke colour matching service with a huge range of RAL colour available.